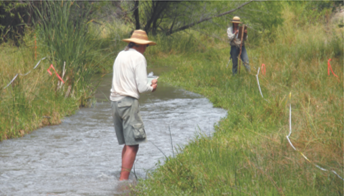 Prescott Creeks Preservation Association (Prescott Creeks) works with stakeholders, local government officials, and the community to restore and protect the Granite Creek Watershed. 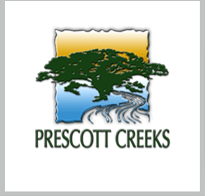 Partnering with local government as well as local businesses and organizations, Prescott Creeks formed the Watershed Improvement Council. The council formed a Watershed Improvement Plan to identify and prioritize watershed improvement projects that significantly impact water quality and to provide solutions like green infrastructure and community education. Community education and involvement is central to their initiatives, including the distribution of printed and online materials (like the Creek Care Guide) as well as programs that encourage youth education and action. Enlisting over 500 volunteers, Prescott Creeks hosts several cleanups every year in which trash is removed from Granite Creek and the Watson Woods Riparian Preserve. The Preserve, one of the major accomplishments of Prescott Creeks, is a 126-acre area that was restored from a gravel pit and illegal dumping site to wetlands and interpretive trails.